how improve top surface ? Posted May 21, 2015 · how improve top surface ? wondering why the top gets so "squished"? (already set the top surface speed to 20 mm/sec.) ??? This happens because the previous layers don't have enough time to cool down, so they melt. 1. Enable Cool Head left in expert settings, this will make the head move away from the print a couple of seconds to let the last printed layer cool down enough. Downside: A lot of stringing and possible blobs because of the many movements of the head (and oozing due to the wait). 2. 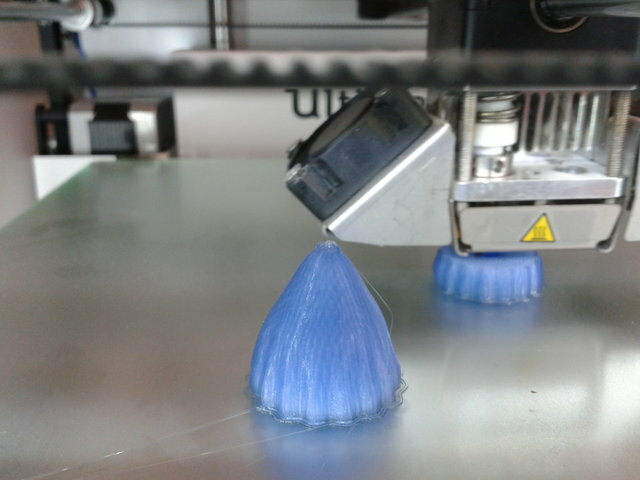 Print several at once, this will let the layers cool down enough and you'll get a better finish. You can also print a small tower from the same height next to it (if you don't need more than one and don't want to loose to much filament). thank you very much for the 2 solutions! since i don't have achieved any good surface results in printing many pieces at once yet, i tried the cool head option, well some stringing is occuring, but this is easier to remove than to adjust the melted top. You actually can use your UM2 in a way that you set the temp in CURA. You need to change the Gcode flavour in machine setting to Reprap(marlin/sprinter) i.s.o. UltiGcode. To be honest I don't think it's worth the trouble for regular UM2 use ... you'll probably get used to selecting material/temp in the printer. Or ignore ultiarjan and just set the temp on your UM2. You can either do it after the print starts printing in the TUNE menu or you can go to material settings on the UM2 and create a custom change, set the new temp, save it, and select PLA after choosing the save option (that's not an obvious step!). Posted May 22, 2015 · how improve top surface ? 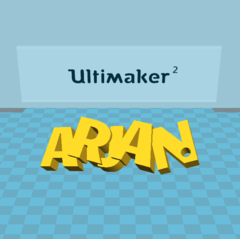 ultiarjan, its a good exercise for me to learn gcoding! while trying to print a file from slicer i almost damaged my nozzle because it started right on the heated bed lever-so theres a serious need for me to use a proper start code- i will experiment with yours thank you for sharing !! !